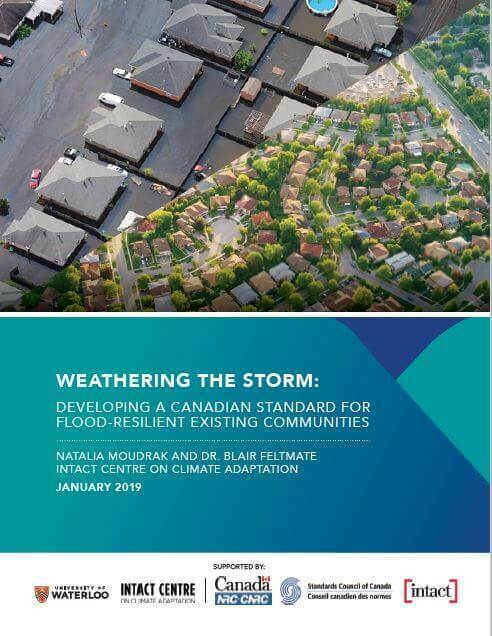 Click here for a report that outlines practical solutions to reduce community flood risk and a new prioritization framework for selecting areas within communities that should be targeted for retrofits. The report will inform the development of a new National Standard of Canada. Click here to learn more about our collaboration with the Standards Council of Canada and the National Research Council to develop a new National Standard of Canada, based on the report. Click here for an infographic about the report. Developing a national standard for building new flood-resilient residential communities. 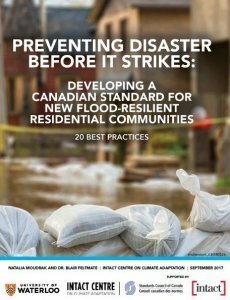 Click here for a report that outlines 20 best practices to design and build new residential communities that are more flood-resilient. Click here for a report, developed in collaboration with Insurance Bureau of Canada and the International Institute for Sustainable Development, which profiles a framework for assessing the business case for natural infrastructure investment. Click here for a report infographic. 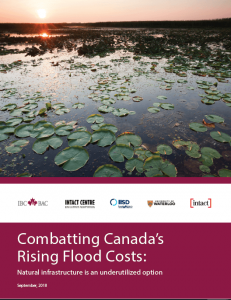 Key finding of the report is Canada cannot afford to lose more natural infrastructure assets, like wetlands and ponds in its overall effort to limit the growing costs of floods, droughts and other natural disasters. 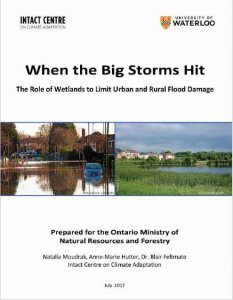 Click here for a report that demonstrates that leaving wetlands in their natural state may reduce the costs of flooding by nearly 40 percent.